The first multi-messenger hint for a cosmic ray accelerator? On September 22, 2017, a high-energy neutrino of about 290TeV (IceCube-170922A) was detected by the IceCube neutrino telescope. An alert was distributed in less than a minute to observatories around the globe. The direction of the neutrino (reconstructed to an area of about 1sq deg and consistent with the location of a known gamma-ray blazar TXS 0506+056) became visible by the H.E.S.S. observatory in Namibia around 4 hours later and follow-up observations started (cf. ATEL #10787). The data acquired that night did not reveal any gamma rays. However, the observations of gamma rays in the GeV domain obtained with the LAT instrument onboard the Fermi satellite showed the blazar TXS 0506+056 to be in a flaring state since April 2017! The coincidence of the neutrino correlation with a blazar, which was undergoing heightened non-thermal emission, caught the interest of the wider astronomical community and triggered new campaigns. During this campaign, the MAGIC instrument on La Palma detected high-energy gamma rays with energies up to 400 GeV, twelve days after the neutrino event detection. The emission in X-rays showed clear evidence for spectral variability, the flux in the optical V band was the highest observed in recent years. A summary of these observations can be found in IceCube Collaboration et al., Multimessenger observations of a flaring blazar coincident with high-energy neutrino IceCube-170922A. Science 361. There remains a 0.1% probability that the coincidence of the neutrino event with the flare of TXS 0506+056 is purely a random chance coincidence. A low probability but as likely as finding the same number four times in a row by rolling a die. 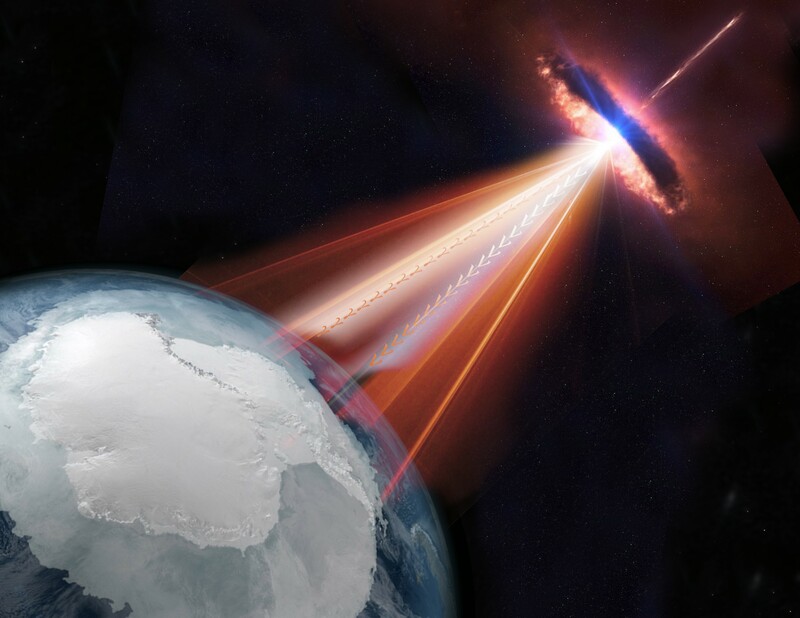 However, the observed association of a high-energy neutrino event with a blazar during a period of enhanced gamma-ray emission is suggestive that blazars may indeed be one of the long-sought sources of very high-energy cosmic rays, and hence might be responsible for a fraction of the cosmic neutrino flux observed by IceCube. 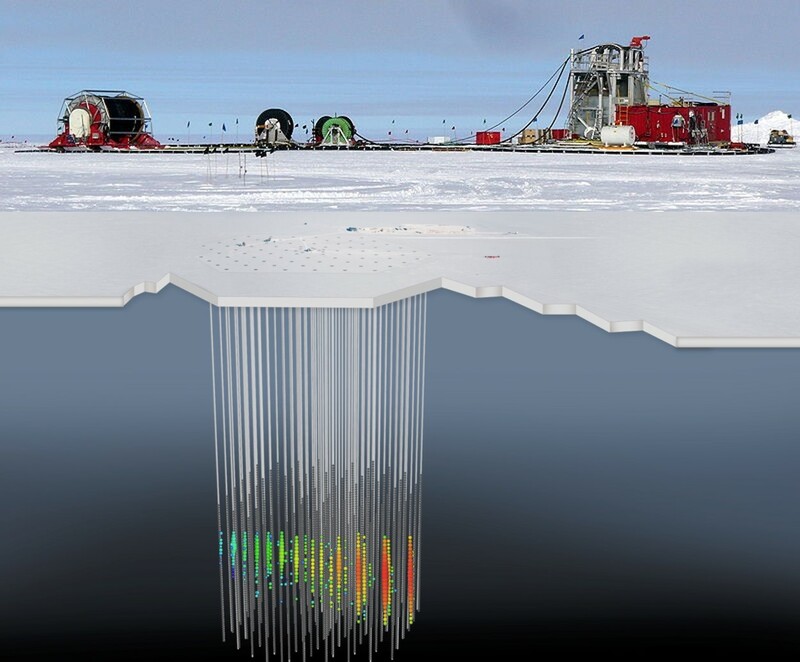 Another neutrino telescope, working closely with IceCube, called Antares located in the Mediterranean Sea confirmed the observations and published the results in Search for neutrinos from TXS 0506+056 with the ANTARES telescope (https://arxiv.org/abs/1807.04309).